Fundamentalism represents a movement within evangelicalism that began in the late nineteenth and early twentieth centuries as a reaction to two forces that undermined the credibility of the Bible: the “higher criticism” of the Biblical text prevalent in liberal Protestantism and the development of evolutionary theory in science. Many evangelicals began to proclaim the need to establish and defend the fundamentals of the faith against these views1. Fundamentalism was equivalent to evangelicalism from the 1920s through the early 1940s, during the highest point of fundamentalism’s popularity and presence2. Mounting secular opposition to fundamentalism led many within the movement to desire to withdraw from society; this trend led many evangelicals to separate themselves from fundamentalists3. Fundamentalism is marked by a passionate defense of whatever is perceived to involve the “fundamentals” of the faith, including the Trinity, the Incarnation and the Virgin Birth, the death, burial, and resurrection of Jesus, and the creation narrative in Genesis. Fundamentalists also hold to the view of inerrancy of the Scriptures. While many different groups of Christians and denominations agree with fundamentalists on many issues, the anti-intellectual, anti-social, and reactionary tendencies often found in fundamentalism marks it off as a specific subset of evangelicalism4. Fundamentalism developed within evangelicalism, as noted above, as a reaction to the undermining of the credibility of the Bible by liberal Protestantism and the scientific community. The 1878 Niagara Bible Conference established a creed of beliefs akin to fundamentalist concepts; in the 1910s, volumes began to be dispersed regarding “the fundamentals,” and this name would eventually attach itself to the entire movement5. The term (and the movement) gained great popularity in the 1920s, and at this time, evangelicalism and fundamentalism were all but synonymous6. This popularity would not last long. The Scopes “monkey trial” of 1925, regarding the teaching of evolution in schools, was a Pyrrhic victory for the fundamentalists; while they won the trial, they lost credibility in the eyes of many Americans6. Many proponents of fundamentalism began to “circle the wagons”, declare dispensational premillennialism as one of the “fundamentals” of the faith, and promote withdrawal from society at large7. These tendencies, along with concerns regarding anti-intellectualism and the definition of inerrancy prevalent among many fundamentalists, led to the separation of those who would be deemed “postfundamentalist evangelicals” from fundamentalist evangelicals by the 1940s8. From this point on, while most fundamentalists would continue to be evangelicals, not all or even a majority of evangelicals could be considered part of fundamentalism. Fundamentalism has continued to exist as a subset of evangelicalism. The movement is still marked by a focus on what is deemed the “fundamentals”, right wing politics and a “Christian nation” mentality, suspicion of all things intellectual, dispensational premillennial viewpoints, and oftentimes a reactionary zeal. Just as with the term “evangelical”, the term “fundamentalism” is often used and misused in religious discussions today. It is important for us to understand the meanings of the term and how we shall define the term for the purposes of our study. One definition of fundamentalism, which is quite popular in modern media today, refers to any or all groups who react to modernism in a militant way. In this light, modern Islamic jihadists are described as “Islamic fundamentalists”, and many unhelpful comparisons are often made between such persons and Christian fundamentalism. The second definition of fundamentalism involves the conservative Protestant reaction to the rise of liberal Protestantism in the late nineteenth centuries and early twentieth centuries. 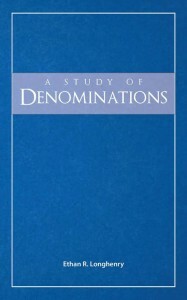 A third definition, distinct from the second less by belief and more by mood, represents a narrow, more militant separatist movement within conservative evangelical Protestantism emerging in the early twentieth century, after major Protestant denominations embraced many aspects of liberal Protestant ecumenism9. Based on the second definition, many times “fundamentalist” also refers to any evangelical or to anyone who believes in the fundamental doctrines of the Christian faith. We can see, therefore, that while the term “fundamentalist” can be viewed rather broadly, so as to include all “conservative” Christians, such a designation can often be misleading. For the purposes of this study, we will focus upon and use the second and third definitions of fundamentalism, speaking of the movement within evangelicalism that has existed since the beginning of the twentieth century. Fundamentalism, especially in its modern permutation, tends to be found in individuals and in individual congregations of many denominations; there are also many independent fundamentalist churches throughout the country. Denominations that have some fundamentalist factions include Baptists, a few Wesleyan groups, and many Pentecostal churches. There may be a few fundamentalist groups in other Protestant denominations, yet their numbers would be far less. Fundamentalism, as has been noted, is a subset of evangelicalism. Some fundamentalist trends may be found also in some community churches and house churches. As with many matters involving fundamentalist groups, there is some level of disagreement about many of the matters listed below. They are provided as a general guide for understanding. As we have seen, fundamentalism represents a reactionary movement against liberal tendencies in Protestantism. While there is much that is agreeable in an emphasis on the fundamentals of the faith, there is always a concern of going too far when a group is reacting to events in other groups. The majority of concerns that exist regarding fundamentalism, in fact, revolve around some overreactions that have plagued the movement. One such overreaction has been noted previously: as the fundamentalist movement developed, dispensational premillennialism was added to the list of “fundamental” doctrines. Any “list” or creedal statement is automatically suspicious, as is made clear in Creeds. Nevertheless, as is evident from Plymouth Brethren: Premillennialism, not only is dispensational premillennialism not a “fundamental” aspect of the faith, but it also represents a false belief system that is not consistent with a holistic understanding of Biblical eschatology. Enshrining dispensational premillennialism as a “fundamental” of the faith demonstrates an instance when a tradition of man is elevated to an improper level. Another instance of this type of overreaction is seen in the belief system of many fundamentalists regarding women and clothing. Based upon the Old Testament prohibition of men wearing women’s clothing and vice versa in Deuteronomy 22:5, many fundamentalists believe it sinful for a woman to wear pants. Surely it is not sinful for a woman to avoid wearing pants if she is concerned about seeming to look like a man; on the other hand, having such a view and binding it represents an instance where a cultural tradition of a certain time is enshrined as a doctrine of God without any Biblical basis. Sixteenth-century men’s clothing looks feminine or effeminate today; similarly, neither men nor women wore pants per se in the time of Paul. Regardless, such is an Old Testament proscription; while one may want to avoid cross-dressing on the basis of Romans 1:26-27 and 1 Corinthians 6:9-10, we cannot establish anything as binding today on Christians because it was established in Deuteronomy (Ephesians 2:11-18, Colossians 2:14-17). If it is culturally acceptable for women to wear pants and there is no perception that by doing so they look like men, it is inappropriate for us to instead bind a tradition of fifty to a hundred years ago against such a view. Not all fundamentalists practice such things, but most who do could be classified as fundamentalists. Such views and doctrines demonstrate the stumbling block inherent in reactionary movements: they oftentimes go beyond what is written in the other direction (cf. 2 John 1:9). Such is a trap which ought to be avoided! Another manifestation of this reactionary tendency within fundamentalism is seen within the King James Version (KJV) Onlyism. While not all fundamentalists are KJV onlyists, most KJV onlyists are fundamentalists. KJV onlyism represents a spectrum of views favoring the King James Version over any and all other versions. In the “mildest” cases, a person simply prefers the KJV over other versions. Others believe that the Textus Receptus (TR), the Greek text upon which the KJV was translated, was in fact inspired by God; some go so far as to say that the KJV itself is the inspired word of God, and any alterations to the KJV are reckoned as anathema. Such a view has been promoted for as long as fundamentalism has existed, ever since Westcott and Hort came out with a Greek text based upon the more ancient manuscripts of the New Testament in the nineteenth century. These manuscripts–the basis of the modern translations and versions–differed from the TR in many ways. Since Westcott and Hort were both scholars associated with liberal Protestantism, fundamentalists were automatically suspicious of their activities. Many fundamentalists made no distinction between “higher” and “lower” forms of textual criticism and considered the endeavor to present the Biblical text as represented by the oldest and most superior witnesses as equivalent to the literary criticism that was undermining faith in the Biblical text. Some began to defend the KJV and its text base, the TR, strongly against the American Standard Version (ASV) and later versions based on these older manuscripts. KJV onlyists will often point to various New Testament passages as rendered in the KJV versus modern versions, note various contrasts, and then charge the translators of the modern versions with either denigrating Jesus’ divinity, denying His substitutionary atonement, or some other doctrine. They will claim that the name of God is removed thousands of times from the Bible. Many other serious claims will be made in an attempt to demonstrate the legitimacy of the King James Version over the more modern versions. The underlying difficulty with all of the arguments made by KJV onlyists is that they use the KJV or the TR as the standard of judgment. If the KJV or the TR represent the standard by which all other versions are judged, then certainly they will all fall short. Should the KJV or the TR be considered the standard? Desiderius Erasmus, the editor of the Textus Receptus, did not consider either himself or his text as inspired. The members of the translation committee of the King James Version did not claim that they or their translation were inspired. In fact, both Erasmus and the translators of the KJV used many of the same textual critical and translational methods as modern scholars. Furthermore, the King James Version was “authorized” not by God but by the King of England! What, then, should be the standard? In 2 Timothy 3:15-17, Paul establishes that all Scripture is inspired; Peter speaks of men who spoke as they were moved by the Holy Spirit in 2 Peter 1:21. We have no doubt, based upon these passages, that the original texts of the New Testament were inspired; there is no indication that any later changes or errors that crept in during the transmission process are also “inspired”. The KJV and the TR, or the modern versions or the present Greek texts of the New Testament, do not represent the standard of judgment: the original texts ought to represent the standard of judgment! Unfortunately, we do not have possession of the original texts of the New Testament. That is why textual critics seek to use the oldest and most superior manuscripts: they attempt to return to be as close to the original texts as we can be allowed. In this way, the majority of the arguments made by KJV onlyists are untenable: modern functional equivalence translations do not “change” the Bible inasmuch as get us closer to the original text. If anything, the KJV represents the text with the most “changes” of the Bible! Likewise, the charge that modern versions attempt to subvert various doctrines is simply untenable. All modern versions, in appropriate passages, affirm the Deity of Christ, the substitutionary atonement of Christ, and all other appropriate truths of the Gospel. Just because certain other verses read differently does not mean that their translators are denying core doctrines! It is a task suited for its own book to systematically analyze all of the arguments of KJV onlyism; it is sufficient for our purposes to demonstrate how KJV onlyism represents another reactionary tendency in the fundamentalist movement. In part, KJV onlyism represents the suspicion of any intellectual endeavor: textual criticism is guilty by association with literary criticism, even though the two do not always meet. KJV onlyism also represents enshrining a given later tradition–in this context, a seventeenth century English translation of the Bible–as itself a fundamental, even though there is no Biblical basis for such a view. Finally, KJV onlyism represents the attempt to resolve a theological conundrum regardless of what reality may dictate: many fundamentalists do not want to imagine that the Word of God was altered or changed even to the smallest jot or tittle, and therefore it is easier to consider the KJV inspired than to believe that errors crept into the text, and that textual criticism is necessary to provide a text closely related to the original New Testament. There are many times when there is good reason to disagree with a given textual critical decision, or to favor one way of translating a given passage over another. Such represents the natural discussion that takes place within the textual critical and translational communities, which ought to involve normal Christians whenever possible. Such discussions, however, provide no justification of elevating one translation as the “inspired Word of God” above any other translation. Translations are the work of men; while they are quite accurate these days, they all have their strengths and weaknesses. Any Bible translation can lead a person to enough understanding of the faith so as to be saved; there are enough tools available to assist any Christian who seeks to grow in his or her faith to understand any difficulties that are present within the Bible. There is no difficulty in someone preferring the KJV as his or her translation of choice. On the other hand, it is also important to not bear false witness toward God in claiming that He inspired something that He did not inspire, and to elevate a given translation or version as authoritative when God has not given us any ground upon which to do so. It is important to avoid overreacting and “going beyond Jerusalem,” so to speak, and ending up in another kind of error (cf. 2 John 1:9-10)! KJV: The Only Bible Version? 1: Roger Olson, Pocket History of Evangelical Theology, 85-88. Thank you for such great articles and useful tools to learn…..